As a pumping mom, something that is always on our minds is if we are producing enough to keep up with our baby. 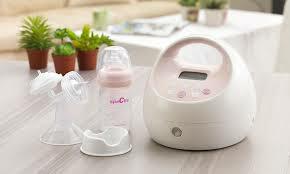 Low milk supply is every breastfeeding mom’s worst nightmare and having a quality, a strong pump is a must to ensure a healthy supply while away from your baby. Most moms have heard of the term Hospital Grade but few know what that truly means. To put it simply, it means you have a really strong pump. But finding a quality hospital grade pump at a good price is hard to come by. So what is a Pumping Mommy to do? Ladies, I give you the Spectra S2. 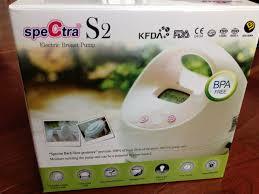 If you are not familiar with Spectra breast pumps then you may not know how new these pumps are to the US market. They have only been available to the US since 2013. 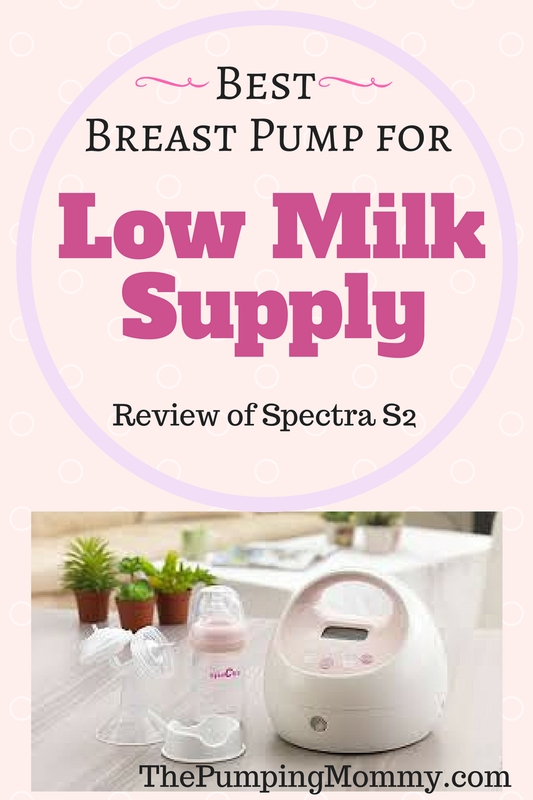 This makes Spectra the new kid on the block but already it is establishing itself among the best breast pumps on the market. 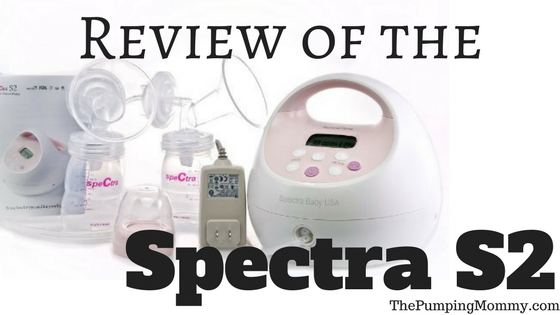 Spectra S2 breast pump reviews rave about the performance and power of this pump. It is a hospital grade strength pump and boasts an incredible maximum suction strength of 280mmHg (+/- 15) per Spectra’s Official Site. Yet despite its power, it is said to be incredibly gentle. There are silicon cushion inserts for the breast shields that offer moms maximum comfort while they pump. The Spectra S2 is also a closed system pump meaning there is a barrier between the pump tubing and the milk collection kit. This makes cleaning much easier! Another feature I love about the Spectra S2 is the night light. This comes in very handy for late night pump sessions. There is even a timer that will automatically shut the pump off after a certain period of time (just in case you doze off). The suction is adjustable whether in letdown or expression mode. One common question that is asked of the Spectra S2 is what is the difference of the S2 versus its sister the S1? There is not much of a difference. They are the exact same pump with one key difference – the S1 has a built-in rechargeable battery making it more portable. The S2 only has the power option of using the AC-Adapter. You can read my complete review of the Spectra S1 here. Personally, I like having the option of it being more portable. In cases where you have no access to a plug or you loose power, the rechargeable battery would be very handy. There is a price difference though between the two and some moms feel the rechargeable battery is not worth the extra cost. As a working mom, a rechargeable battery was well worth it to me! I had to pump in strange places at times and would not have been able to if my pump was not portable! Deciding where you will be using your pump and how often will come into play when deciding between the S1 and the S2. You really can’t go wrong with either! 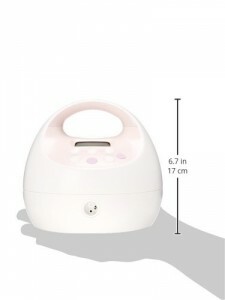 The Spectra Baby S1 and S2 are often referred to as the “Cadillac” of breast pumps. There are other pumps on the market of course that offer this feature and do it well (the Medela Freestyle is one) but what I really like about the Spectra is the combination of the two settings, the digital screen, and a super quiet pump motor. The Spectra Baby S2 is a fantastic pump just like it is. Any moms who are struggling with supply issues, this is a must have. I was disappointed that the milk collection kit is made for wide neck bottles. 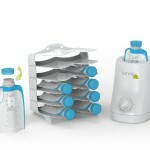 But there are many great wide neck bottles out there (Avent and Dr. Brown’s are my favorites) or you can purchase the adapter to pump into standard sized bottles so that is a plus. I also think the S2 is limited on portability which is why I give it a 9.5 out of 10 but for the price, it is the best (and most affordable) pump on the market today. I highly recommend the Spectra S2! Click here to read more about the Spectra S2. Amazon currently has it for an extremely low price! You can’t find a better deal on a pump! Need Pump Parts for your Spectra Pumps? Visit our Spectra Pump Parts Page, here! Click Here for Spectra Pump Parts! Want to Pump, Store and Feed from the same bag? Click here to find out how! Looking for the perfect nursing bra? Check out Cake Lingerie! Need a boost in your milk supply? Check out these supplements!